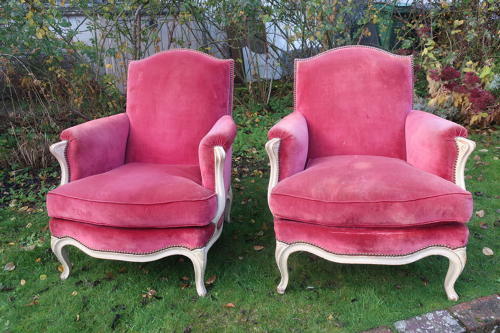 A large pair of French Bergere armchairs, in original pink velvet fabric and paintwork. Very comfortable with old fabric still in good condition, no breaks or wobbles. In the Louis XV style, a stylish pair of chairs with a good rake to a their backs.